The Belgian projects and construction sector continued its recovery in 2017, with a number of projects reaching financial close. The recent political agreement to extend the European Fund for Strategic Investment (also known as the Juncker Plan) until 31 December 2020 (EFSI 2.0) will breathe further life into Belgian projects. EFSI 2.0 also increases the pan-EU target for investment to €500 billion. A number of projects across various sectors (infrastructure, energy, research and development) are currently in the funding approval process. The much-awaited publication in September 2016 of Eurostat's guidelines for the statistical analysis of public-private partnership (PPP) structures continues to positively influence PPP financing after the previous years' retrenchment owing to budgetary cuts and uncertainty over the application of the European accounting rules for PPPs. Major project approvals continued their upward trajectory in 2017. The Liège tram project finally received approval from Eurostat in March 2017. Certain major infrastructure projects, including the PPP renovations of the Leopold II tunnel (Belgium's longest underpass), reached financial close. The €100 million PPP project for the construction of a new police headquarters in Antwerp also reached financial close in November 2017. The construction of a new iconic national stadium in Brussels, allowing Brussels to be the host for the 2020 UEFA European Football Championship opening game, was further postponed in 2017, leading UEFA to remove Brussels as a host city for Euro 2020 and move the assigned matches to London instead. Labour costs remain high and margins low for contractors, pushing general contractors to cut back on their own Belgian labour force and work more and more with foreign subcontractors. To fight social dumping and unfair competition, decisions have been taken at both national government and EU level and concrete measures are being implemented by the sector. In addition, skilled general contractors continue to export their know-how and take up work where margins are more enticing, such as in Africa and the Middle East. In the Belgian market the transactional structure in particular depends on whether a public building project is concerned, with a public entity as principal. Regarding government-funded infrastructure projects on public property there is a tendency not to transfer property or (other) rights in rem to investors. However, if specific circumstances so require, granting rights in rem is possible. More eagerness to obtain rights in rem can be noted on the part of private investors, quite often completed by the standard types of security. In project-financed deals, obviously, the 'non- or limited recourse' character of the financing contradicts the need for rights in rem. Several ownership structures are used, again depending on the particulars of the project, without there being one particular dominant structure. Hence models such as build-own-operate-transfer and build-operate-transfer (BOT) – although rarely identified as such – are all present on the Belgian market, but none of them are viewed as the market standard. As regards PPPs, the design-build-finance-maintain (DBFM) model dominates the Belgian market. This model implies that a private party designs and builds the infrastructure, maintains it for an agreed period, as the case may be completed with an 'operate' component or facility services, or both, and secures the required financing. In the base scenario, this does not imply a transfer of property (resembling a BOT). However, a limited number of DBFM projects do provide rights in rem for the investor, but in such cases the rights in rem serve either as security or are provided for tax reasons. a set of direct agreements. The Belgian construction market (both public and private) is still dominated by the 'classic' procurement model. An employer contracts a designer, an engineer and – if required – an architect, arranges funding and appoints a building contractor. When public contracts for works, services or delivery of goods are concerned, a specific set of rules is applicable. The Royal Decree of 14 January 2013 provides a detailed set of the general execution rules (GERs), that is, contractual terms and conditions applicable to all public contracts for works, services or delivery of goods. A public authority can only deviate from these rules in specific circumstances. The GERs were most recently amended by way of Royal Decree dated 22 June 2017, which added (inter alia) extensive provisions relating to subcontractors and contract variations. Nonetheless, in particular in a project finance context where predictability of the eventual revenue is even more important, the DBFM model is increasingly dominant, and the GERs do not apply to this model. Independent use of integrated contracts, such as EPC and design-build, has also increased. As to international model construction contracts, the FIDIC suite of contracts is increasingly widespread in Belgium, especially on energy projects (both on and offshore). The release of the 2017 FIDIC suite and its surrounding commentary has increased the exposure of the form to the Belgian market. Other standard forms have not yet penetrated the market. Although standard forms of Anglo-Saxon inspiration are being used more frequently, and provide the comfort of being recognisable to lenders and foreign investors, their application and enforcement will, in particular with respect to notices and notice periods, not be as strict, literal and rigorous as under common law, but will rather be tempered by the legal principle of good faith proper to civil law. Probably the most important risks in a project finance transaction or a construction contract are the risks of insolvency of the other party, loss of the infrastructure that is being built, and risks such as force majeure or 'hardship'. In a standard construction contract, little is in fact provided to manage these risks, mostly because Belgian law provides an answer to most legal issues in this respect. To limit the risk of insolvency of the counterparty (on top of what is already provided for in Belgian law), contractors will attempt to be paid in regular tranches or according to milestones, as close as possible to a 'cash-neutral' or 'cash-positive' position. If so required, contractors will (attempt to) suspend further execution (invoke the exceptio non adimpleti contractus) until their invoices are paid. Principals, on the other hand, will require a performance bond, an advance payment bond, a deposit blocked on a bank account or will withhold a part of the sums due (retention). In public work contracts, contractors should take into account the negative cash flow that the contract will generate. The risk of loss of the infrastructure prior to completion is usually borne by the contractor. The standard method of mitigating this risk, of course, is through appropriate construction all-risk (CAR) insurance. There is a lot of variety in the market for managing situations of force majeure or hardship. Legally speaking, the risk of force majeure is shared among parties. Parties are free, however, to contractually regulate force majeure as they deem fit. Hardship would normally be a risk borne by the party affected by it, and may be mitigated somewhat in the case of public contracts where contractors can often obtain additional time or payments in situations that would qualify as 'hardship'. When PPPs are concerned, as the financing of the project usually depends on the cash flow generated by the project, funders will never accept the reimbursement of their funds being dependent on chance. Hence, in PPP projects, much effort is put into identifying all risks relating to the project (sometimes through a risk matrix), allocating those external risks and clearly defining the contractual consequences in terms of money and time in the event that the risks occur. Under Belgian law, limitations of liability in the construction industry are a gradually increasing phenomenon. As to basic 'liabilities' relating to a construction contract, the liability for hidden defects and the decennial liability must be mentioned. In addition, general rules of contractual responsibility apply. Decennial liability under Belgian law, although based on Article 1792 of the Civil Code, is a contractual liability, relating to the safety and stability of 'immovable works'. If the safety or the stability of these immovable works is affected or endangered by a defect, a designer or contractor can be held liable for its consequences for 10 years. It is not possible to limit or contract out of this decennial liability as it is part of Belgian public policy. Liability for hidden defects on the other hand constitutes an autonomous ground for (contractual) liability. Contrary to decennial liability, it is possible to contract out of the application of the 'liability for hidden defects'. Under Belgian law this liability ends 10 years after acceptance of the works but it is not uncommon to limit this period, for example, to one or two years. However, to the extent a hidden defect triggers decennial liability, an exoneration or limitation of liability for hidden defects will have no effect. In principle, liability for indirect or consequential losses, or for loss of business or profits, can validly be limited or excluded by contract (except in the case of decennial liability). Yet, there are limits to such limitations or exclusions of liability. A party can only limit its liability as long as this limitation or exoneration does not strip the essential contractual obligations of 'their contents'. If a clause limiting liability implies that as a result a debtor has no genuine obligation to perform, the limitation is invalid. To exonerate for gross negligence, explicit wording must be inserted. In application of the principle of law referred to as fraus omnia corrumpit, pursuant to Belgian law it is not possible to exonerate liability for one's own wilful misconduct. Therefore, in principle, a clause aiming to exonerate liability for wilful misconduct has no effect. Exoneration is only permitted for the specific situation of wilful misconduct by employees of the concerned party. Although admissible under Belgian law and a token of good practice, liability caps are not standard practice yet in all construction contracts. For instance, the GERs for public procurement contracts do not contain any limitations of liability. As force majeure is a concept enshrined in Belgian contract law, force majeure clauses are not a necessity in Belgium. Nonetheless, customised force majeure clauses are enforceable and even customary in more complex transactions (especially where a lender is involved). The concept of hardship, however – sometimes referred to as application of the clausula rebus sic stantibus – is not part of general Belgian contract law. Only when public contracts are concerned can a concept close to hardship be invoked. Hence, particularly in private contracts, a hardship clause could prove useful. In Belgium political difficulties have had little effect on the performance of project finance or construction projects. As a result, other than standard force majeure provisions relating to war and civil disturbance, etc., particular arrangements to mitigate political risks are rarely provided. Few doubt that in Belgium, in the case of revocation of a contractually valid agreement or of nationalisation or expropriation, the involved counterparty would be indemnified. Indeed, contractual and other rights, including those of foreign investors, are well protected in Belgium. For ordinary small-scale financing, the funder is usually granted a mortgage on both soil and structures, to secure at least part of the financing. Mortgages are ranked according to their date of inscription in a special register. To limit costs relating to a mortgage, sometimes only a power of attorney is provided in favour of the funder, which allows the funder to unilaterally obtain a mortgage when this proves necessary. 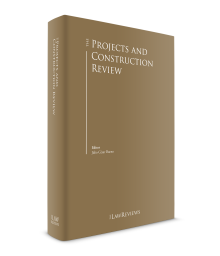 When relevant in view of the specific project, it is common practice to require rights in rem. Such rights in rem provide economic rights of property over the assets concerned, and as a result constitute a powerful security. In other situations it is common to require securities such as a commercial pledge; a possessory right of pledge entitling the creditor to have the pledged asset sold and be paid preferentially out of the sale proceeds. A pledge on shares (e.g., of an SPV) or a pledge on bank accounts is customary. On 30 May 2013, Parliament adopted the new Act on security interests on movable assets. This Act significantly changed the legal framework for the creation, perfection and realisation of security interests on all kinds of movable assets, whether tangible or intangible, including receivables. In particular, the Act introduces, in addition to the traditional possessory pledge, a non-possessory pledge on movable assets, which will be subject to registration in a newly created public register. These legal changes aim to modernise, simplify and make the rules on security interests on movable assets more coherent. Parties or lenders sometimes require a parent company guarantee, or – when contracting with entities created by public authorities – a state guarantee by the concerned public authorities. Step-in rights for funders – which allow them to take over rights and obligations – are also admissible in Belgium. Such rights are contained in most funding agreements, and are standard practice when direct agreements are concerned. Where standard public works contracts are concerned, performance is secured through a 'deposit' of 5 per cent of the works' price. In private contracts a variety of mechanisms can be observed, including the mechanism of withholding part of the price or invoiced amounts until provisional or final completion. When project finance is involved, in particular with international elements, it has become customary to require bank guarantees to secure performance, in addition to parent company guarantees. In smaller or local transactions, contractors are reluctant to provide bank guarantees, in particular the 'on-demand' type. professional liability insurance, covering contractual liability of the designers involved. In Belgium currently only architects are under a statutory obligation to carry insurance for their contractual liability. Decennial liability insurance requires the involvement of an independent control agency (such as SECO, AIB Vinçotte, Socotec) to sign off to the insurance company that the insurance may be granted. As decennial liability insurance is considered to be expensive by the market, it is not standard practice for all projects. One is likely to encounter such insurance where project finance is involved or in project development projects. Outside the context of a bankruptcy proceeding, a security can only be enforced if a debtor has failed to meet a payment obligation on its maturity date or any other obligation deemed essential under the (funding) agreement. The debtor should be given notice (notice of default) that it must comply with its obligations on the due date. If the debtor is still capable of meeting its obligations, the creditor should, in writing, allow a reasonable period to remedy this breach, unless it is sufficiently clear that the debtor is or will no longer be able to meet them. A business that is in financial jeopardy, but can still be saved from bankruptcy, can apply for reorganisation proceedings. The Belgian version of Chapter 11, the Act of 31 January 2009 on the Continuity of Enterprises, came into effect, introducing a new form of reorganisation proceedings. This Act introduced a system to enable enterprises in difficulty to recover their financial health. It is aimed at sustaining the continuity of businesses as much as economically possible by making reorganisation more accessible to debtors suffering financial difficulties and presenting options for recovery. In Belgium a business must file for bankruptcy if it has permanently ceased its payments and lost the confidence of its creditors. Only individuals or legal bodies conducting a business can be the subject of bankruptcy proceedings. Also, creditors such as lenders can set off the court proceedings leading to a bankruptcy – declared by the commercial court – and the nomination of a receiver. There is a 'suspect period', starting when payments ceased, and ending on the declaration of bankruptcy. Once a request for bankruptcy is filed, all (other) enforcement measures are suspended. unsecured creditors, who are treated equally: the net proceeds from the debtor assets are distributed in proportion to their claim. A major distinction should be made between EU nationals and all others in terms of labour. Nationals of EU Member States enjoy the benefits of free movement of workers within the EU. All other workers need a work permit to work in Belgium. European companies often post employees to another EU country to work there temporarily. These posted workers must be paid at least the minimum wage of the host country, yet their wages can be lower than the wages of local workers. There is no 'same pay for the same work at the same place'. Posted workers are EU citizens who have an employment contract in their home country, and are temporarily posted to a host EU country by their employer when their employer provides a certain service, for example, if a Bulgarian construction company builds a house in France. Belgium is among the countries receiving the highest number of posted workers. equal treatment between men and women and other provisions on non-discrimination. In the construction sector, where the core conditions of employment listed above are laid down by collective agreements or arbitration awards that have been declared universally applicable, Member States are also obliged to ensure the application of these conditions to posted workers. While minimum wage requirements of the host country apply to posted workers, posted workers continue to pay their social security contributions in the Member State where they are normally based for up to two years. During this period they do not pay social security contributions in the Member State where they are temporarily posted. Companies providing cross-border services therefore have a cost advantage when social security contributions are lower in their home country than in the host country. There have been various abuses, some related to exploitation of posted workers and others to subcontracting, where posted workers have sometimes been left without being paid, sometimes when the company had disappeared or never really existed (letterbox companies). To combat this, the European Commission proposed an Enforcement Directive in March 2012, which was approved on 13 May 2014 (Directive 2014/67/EU). The related implementation Act for Belgium came into force on 1 October 2017 with immediate effect, giving the social inspectorate new powers to monitor compliance with the Posted Workers Directive. This includes the designation, by an employer who wishes to use posted workers, of a liaison officer who is responsible for providing any information requested by civil servants in respect of the posted workers. The most striking development from the Enforcement Directive for the construction industry is the introduction of possible joint and several liability for the employer and main contractor in respect of the supply chain. It is therefore likely that in arm's-length subcontractual arrangements the employer or contractor, will require an indemnity from its contractor or subcontractors in respect of any liabilities arising from the Posted Workers and the Posted Workers Enforcement Directive. the compulsory registration (since March 2016) of attendance on construction sites for any worker on a construction project with a value of more than €500,000 (known as the Checkinatwork scheme). Belgium has extremely broad and detailed legislation regarding urban development, environmental issues and sustainability. This legislation is to a very large extent based on EU directives. The baseline is that for building works a rigid procedure must be followed to obtain a building permit and an environmental permit prior to starting the works. In the Walloon region these can be combined into one permit and, since 2017, this has also been the case in the Flemish region, where these permits will be combined into an 'all-in-one permit for physical aspects'. In fact, permits are the Achilles heel of many (possible) construction and infrastructure projects. Besides these particular rules, Belgium has extensive legislation on air pollution, discharge of water, environmental impact assessment, general sustainable development and carbon emissions, etc. Nearly all financial institutions dominating the Belgian project finance market, in particular PPPs, adopted the Equator Principles. As a result, it can be assumed that most project finance transactions and construction contracts insofar as they apply are subject to the Equator Principles. Financial institutions are subject to general Belgian law. Hence, all criminal, contractual as well as tortious liability legislation applies to financial institutions. There is a mechanism to convert a theoretical punishment for corporate criminal liability from imprisonment into a pecuniary punishment. In administrative terms, the Financial Services and Markets Authority is the most important entity in Belgium. It supervises the rules of conduct applicable to financial institutions, to maintain confidence in the financial markets and to ensure that investors and financial consumers are treated honestly, fairly and professionally. A main driver for public authorities opting for the PPP model is its potential for an off-balance treatment under the ESA 2010 accounting rules of the European Union.2 The ESA 2010 rules operate a 'binary' system: the assessment is that the project is either a wholly owned government asset or else it is a non-wholly owned asset (i.e., on or off-balance sheet). Eurostat (the European agency in charge of monitoring the national accounts) had over recent years adopted a much stricter application of said rules towards certain countries, including Belgium, leading to uncertainty and public authorities (temporarily) abandoning important infrastructure projects. To clarify its statistical treatment of PPPs, in September 2016, Eurostat released a comprehensive document, in cooperation with the European PPP Expertise Centre of the European Investment Bank, and published under the aegis of both institutions.3 This 150-page document examines in detail the project structure of a typical PPP deal, and highlights particular risk allocations that it considers will point to a project being treated as on or off-balance sheet. The Eurostat guidelines give all stakeholders clear indications of an appropriate fiscal and project risk allocation for the public sector body to assume in a PPP project, and practitioners in Belgium have welcomed the important clarifications. Belgian public procurement legislation distinguishes between four types of procurement procedures referred to as 'sale by auction', 'call for tender', the 'negotiated procedure' and competitive dialogue. In the event of a sale by auction, the contract must be granted to the tenderer who has submitted the lowest regular tender. In the case of a call for tender, the contract must be granted to the most advantageous tender, according to the award criteria (e.g., price, quality or timing) mentioned in the contracting documents. The contracting authority has the free choice between both procedures. Both procedures may be awarded by means of an open or restricted procedure. In an open procedure all interested contractors may submit tenders; in a restricted procedure, only those contractors so invited by the contracting authority may submit tenders. The negotiated procedure allows the contracting authority to consult the economic operators of its choice and to negotiate the terms of the contract with one or more of them. PPP transactions are still usually tendered through the 'negotiated procedure', although recently the competitive dialogue has also been introduced into the Belgian legal system. Most PPPs involve a selection phase followed by one or more offer phases, consisting of rounds of negotiations leading to subsequent offers, and usually a 'best and final offer'. Finally, after the preferred bidder is selected, final negotiations are conducted and the contract is closed. Usually, 'contract close' concurs with 'financial closure' between the contractor and its funders. Belgian legislation on public procurement has been updated and recently codified in the Act of 17 June 2016 concerning public procurement (the new Public Procurement Act). This Act contains the core of the coordination and codification of all existing public procurement regulations and the transposition into Belgian law of the 2014 European Procurement Directives. There are, in addition, several royal decrees implementing this Act. Directive 2014/25/EU of 26 February 2014 on procurement by entities operating in the water, energy, transport and postal services sectors and repealing Directive 2004/17/EC. The new Public Procurement Act only entered into force in mid 2017. Public tenders launched before 30 June 2017 are still subject to the previous Act of 15 June 2006 on public procurement contracts and certain contracts for works, supplies and services. Contracting authorities must in addition always respect the general principles relating to good administration and the fundamental principles of the Treaties of the European Union when they award public procurement contracts. Of these general principles, the most relevant in terms of public procurement are equal treatment and non-discrimination, free competition, transparency, legal certainty and proportionality. These principles can also be used when interpreting Belgian (and European) public procurement law and have to be taken into consideration in situations where no explicit regulation exists. The suspension or annulment of the decisions taken by contracting authorities are brought before the Council of State, except in cases where the contracting authority is not a public authority in the sense of the legislation on the Council of State. In this case, suspension or annulment actions are brought before the civil courts. Applications for review do not have an automatic suspensive effect. The civil courts have the exclusive competence for damage claims, for the suspension and annulment of the public procurement contracts and for all disputes concerning the execution of these contracts. The Belgian economy is open to foreign lenders, investors and contractors. There are no specific restrictions on foreign investments and ownership. On the contrary, Belgian legislation contains certain particularities that should attract foreign investment, such as the 'deduction for risk capital' (also known as 'notional interest deduction'), which is a tax incentive to reinforce Belgium as an attractive location for investors. In relation to public works licensing, it is essential that both national and foreign contractors are 'licensed to build', or alternatively are able to prove that they have equivalent experience and skills to entitle them to a licence. These licences are granted in different grades according to the size of the construction works, and in different categories and subcategories. As Belgium has an open economy, there are no real currency controls that would make it difficult or impossible to change operating funds or profits from one currency to another, nor any controls or laws that restrict removal of profits and investments. In Belgium there are no specific courts or tribunals dealing with project finance transactions or construction contracts. Depending on the specific circumstances, disputes fall under the jurisdiction of the civil or commercial courts. In practice, each court will have a specialised construction chamber. Nevertheless, two administrative courts are important to note in a project finance context: the Council of State at the federal level, and the Board of Permit Appeals in the Flemish region. The latter is competent to rule on (appeals against), inter alia, building permits in the Flemish region, and the former is competent to rule on administrative decisions taken by most public authorities. The use of alternative dispute resolution (ADR) in the Belgian market is increasingly popular. Nonetheless, its market share is still limited, and disputes regarding projects or construction are usually dealt with by the courts, quite often combined with expert advice to the courts. In particular regarding public contracts or strictly national transactions, ADR is only applied occasionally. In a commercial context, the use of arbitration precedes mediation or any (other) ADR mechanism. The governing legislation as to both (international and domestic) arbitration and mediation can be found in the Judicial Code. The general rules on arbitration can be found in Part 6 of the Judicial Code, which as of 1 September 2013 was completely revised (largely based on the UNCITRAL Model Law). The rules on mediation constitute Part 7 of the Judicial Code. The importance of expert determination in construction contracts is growing, in particular regarding large or long-term projects, requiring an efficient settlement of certain categories of disputes. In general, the use of expert determination is limited to technical issues. Dispute resolution or adjudication boards are still rare. In recent PPP projects, however, dispute boards do appear. Typically, they act as an intermediate procedure, prior to falling back on the courts or arbitration. Most probably the foreign influence on the structures used for these PPPs and the standardisation in this field explains why such boards start to appear. The most prominent Belgian organisation for institutional arbitration and ADR is CEPANI,4 providing rules on arbitration, mediation and (technical) expertise. New CEPANI arbitration rules and CEPANI mediation rules entered into force on 1 January 2013. The Belgian courts adopt a rather neutral approach towards arbitration, neither favouring arbitration nor showing a particular bias against it. Tax disputes or criminal matters are excluded from arbitration. When an individual is concerned, caution is required, as use of arbitration in consumer, insurance and labour matters is restricted. Automatic domestic arbitration does not exist in Belgium. The New York Convention entered into force in Belgium in 1975. Upon ratification Belgium declared that it will only apply the Convention to recognition and enforcement of awards made in the territory of another contracting state. If an award is contrary to public policy or the dispute was not arbitrable, enforcement will be refused. Enforcement of a foreign award will also be refused if one of the grounds for setting aside the award exists. Belgium ratified the ICSID Convention in 1970 and has signed a large number of bilateral investment treaties, providing for either ad hoc or ICSID arbitration. The first ICSID arbitration ever against Belgium under the ICSID Convention was dismissed in 2015,5 while Belgian investors have initiated several proceedings against foreign countries. A healthy pipeline of projects is available, including the projects coming out of the Juncker Plan. The extension of the plan through EFSI 2.0 will prolong and extend this pipeline until at least 2020. The clarification by Eurostat on the application of the ESA 2010 rules continues to be welcome in the PPP sphere. From a political point of view, there will be local elections in October 2018 and regional, federal and European elections will take place in early 2019. The incumbent right-wing government has been able to implement necessary economic reform to render the Belgian economy more efficient. The resulting investor confidence is expected to continue in 2018 and the appetite for infrastructure investment is still strong nationwide. 1 Rony Vermeersch is a partner, and Olivia de Lovinfosse and Mitch Windsor are junior associates, at Stibbe. 2 ESA 2010 stands for the latest version of the European System of National and Regional Accounts, the EU accounting framework for a systematic and detailed description of an economy. The ESA 2010 was published in the Official Journal as Annex A of Regulation (EU) No. 549/2013. 3 'A Guide to the Statistical Treatment of PPPs', September 2016. 5 ARB/12/29 – Ping An Life Insurance Company of China, Limited and Ping An Insurance (Group) Company of China, Limited v. Kingdom of Belgium.